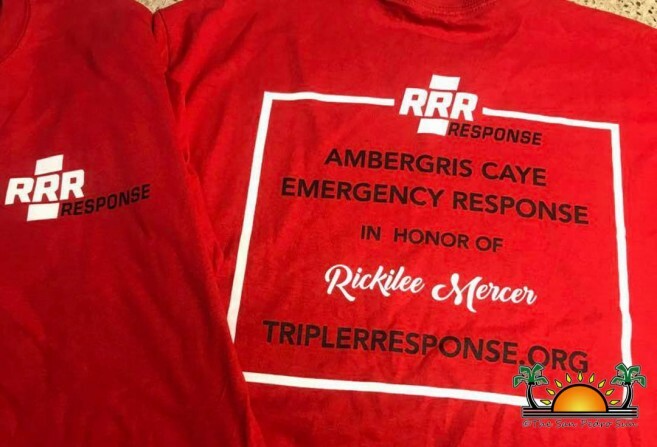 Rickilee Response & Rescue (Triple R Response) is a 501-3(c) charitable organization based in Houston, Texas U.S.A. that was formed in memory of Rickilee Mercer by Traci and Jim Curtin. Mercer was an American National, who was found dead on the leeward coast of Ambergris Caye on March 1, 2017, after she was reported missing on February 28, 2017, after she had gone jet skiing around the area of Secret Beach. In June 2017, the Curtin’s initiated the Triple R Response program in hopes of organizing a program that coordinates community resources to respond to water emergencies. So far, the organization has accomplished many things such as securing Billy Leslie as the person in charge of the island organization. In addition, a phone number has been obtained and will be answered 24-7. To assist in search and rescue the island has been separated into zones. So where ever a particular incident occurs the team on the island will be able to respond immediately. The organization is currently working closely with U.S Marines Civil Affairs and U.S Department of Defense in order to secure equipment, training, and standard operating procedures. 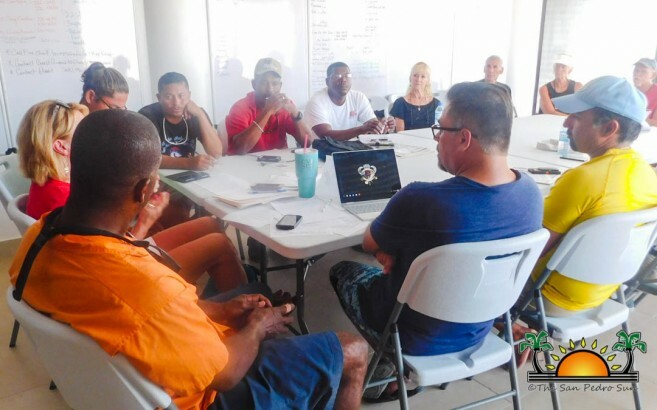 As part of their efforts to raise awareness for the organization a meeting was held on Wednesday, February 7th at the National Emergency Management Organization (Nemo) office in San Pedro Town. 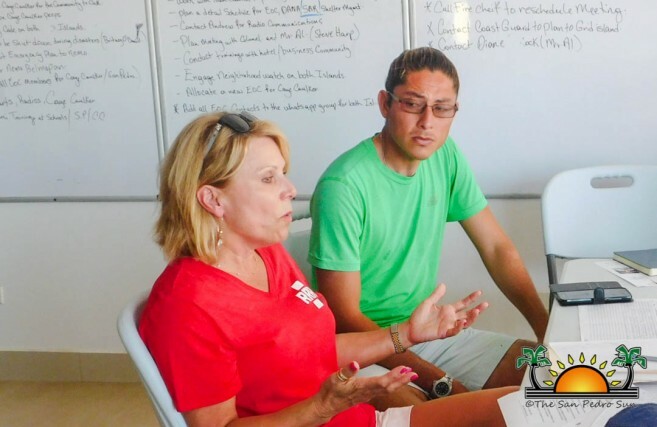 The purpose of the meeting was to discuss how to raise awareness for the organization on Ambergris Caye. Attending the meeting were divers, tour guides and members of Triple R Response. The meeting began at 4PM, with Traci Curtin welcoming everyone and thanking them for attending. She continued by explaining the reason she started the emergency organization. “I love this island so much, so I couldn’t hate it for what happened to Rickilee. I believe that if at that time had there been a proper water emergency response organization maybe she wouldn’t have died. However, I decided to create this organization in memory of her, and also to help the community in having a better water emergency response team,” she said. The meeting continued with various discussions among attendees, with the main topic being how to educate locals and tourists on what Triple R Response is all about. Ideas included creating hand bracelets, which would consist of the name of the organization and the telephone number, so people can call in case of an emergency and distribute them to dive and water sport shops on the island, place the name and phone number of Triple R Response on vessels, kayaks, paddles, Jet Skis and other equipment used for water sports, and educating participants at the Hol Chan Marine Reserve Week Reef about the organization and its importance. Curtin further stated that she prefers to spend the majority of funds raised on educating people of the purpose of the organization. Curtin thanked everyone who assisted at the meeting and always welcomes new members on board. For more information on Triple R Response, you can visit www.TripleRresponse.com or email them at [email protected] For any water emergency, you can contact the Triple R response at 627-1117 for immediate response.